When you come home to find your perfectly house trained dog left you a stinky surprise (or two) on the carpet along with the remains of a couch cushion, expensive shoe, or maybe the TV remote, there’s a good chance they have separation anxiety. If the neighbors complain of your dog’s constant barking and whining when you’re not home, that’s another sign your dog has separation anxiety. 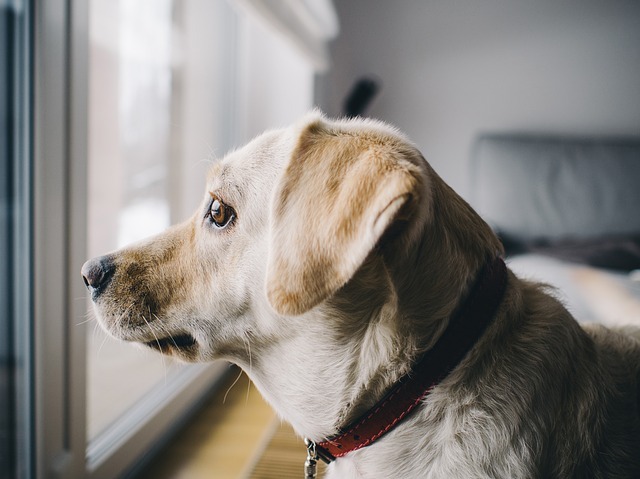 And if you worry about your dog jumping through a screened window, chewing through a door, or hurting themselves while you’re not there to watch them, it’s time to do something about their separation anxiety. Some people have seen positive results with crate training and by leaving behind something with their scent to comfort their nervous dog, but that isn’t always enough. People who own dogs with serious anxiety issues are seeing real improvements by using CBD oil. It’s safe, all-natural, and best of all, it works. 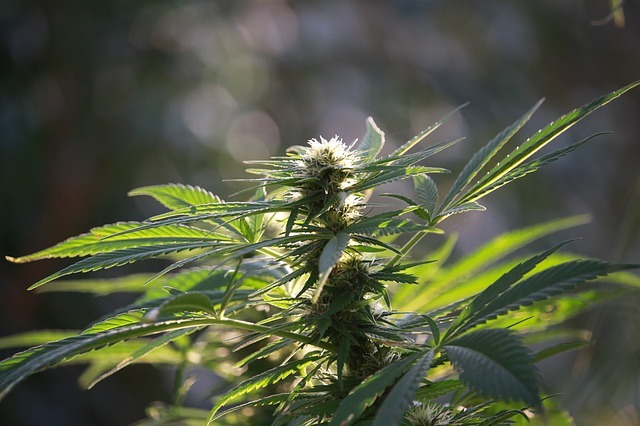 Cannabis plants including marijuana and hemp are made up of over 100 compounds called cannabinoids. One of those cannabinoids, called cannabidiol (CBD), is responsible for the many healing properties of cannabis. When extracted from the plant and isolated, CBD oil is a safe and natural treatment for several different health ailments in both people and dogs. It works by bonding with the endocannabinoid system (a bodily system made up of spaced-out receptors) and initiating communication that improves immune response. The endocannabinoid system is the body’s command center for health and healing, and CBD oil is the stimulant that keeps it working in the best way. The reason why marijuana is dangerous to dogs is another kind of cannabinoid called THC. THC is what makes you high, but CBD oil is different. CBD is non-psychoactive—meaning it doesn’t produce a high—and CBD oil derived from hemp is safe for dogs. It’s legal in all 50 states, and new research is showing evidence of its remarkable healing powers. There are only mild side effects including dry mouth and tremors, and CBD oil is now being used across the country as an all-natural treatment for dogs. Why Does Separation Anxiety Happen? There’s no clear-cut reason why separation anxiety affects some dogs and not others. Sometimes you can find a possible cause by looking into the dog’s past experiences, but that isn’t always the case. Many of the dogs that show symptoms of extreme anxiety come from shelters, and there’s a possible correlation between the trauma of being abandoned and the development of separation anxiety. Some animal behaviorists have found evidence that the sudden loss of a loved one can trigger it, and so can being abused or neglected. At the same time, however, it’s not uncommon for dogs with stable backgrounds to also develop separation anxiety. Puppies that have lived with their families their entire lives can still feel anxious when the last person walks out the door for the day. Vizslas, German Shepherds, Cocker Spaniels, and Toy Poodles seem to be more prone to developing serious anxiety issues than other breeds, which suggests there could be a genetic link. RELATED: Which CBD Oil Brand Does iHeartDogs Recommend as Safe and Effective? When a dog is stressed or anxious, their brain releases a mix of stress-related hormones. Those chemicals create an imbalance that prevents the dog from coping with their emotions in a beneficial way. When CBD oil enters the body, it bonds with cannabinoid receptors to stimulate a type of two-way communication within the endocannabinoid system. With that boost, the system can better recognize what’s wrong and what needs to be done about it. It initiates chemical transmissions to bring the body back into balance, and the result is a calmer and more relaxed body and mind. To use CBD to help your overly anxious dog, choose a high-quality CBD product and administer the recommended dosage about 15 minutes before you plan to leave your dog alone. Some users have reported side effects in dogs including dry mouth, tremors, and drowsiness, and it’s important to monitor your dog if it’s their first time using CBD oil. Mild side effects are possible, but evidence also shows it’s impossible to overdose on CBD. It is safe for dogs and easy to administer. Cananine™ Organic Hemp Oil is made from organically grown Colorado hemp with no heavy metals, bacteria, or other toxins. Best of all, it contains zero THC, making it one of only a few CBD oil products that is completely free of the psychoactive cannabinoid. It features patented Nano-Sized Microemulsion for better absorbability, and giving it to your dog is as simple as using a dropper to put the liquid over your dog’s food or directly in their mouth. 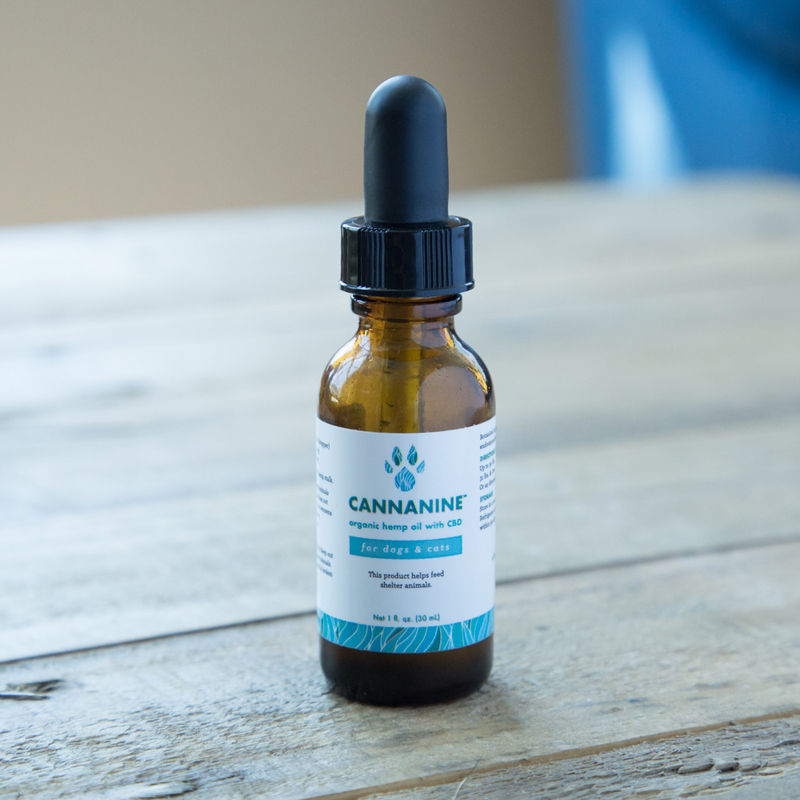 One dose of Cananine Organic Hemp Oil will help your anxious dog feel more comfortable and calm.